In the middle of the Atlantic Ocean are nine different fragrances from nine different islands, each one wearing a green, black or floral robe, always lurking volcanic cones and caves that reveal its origins and lagoons that lie in dormant volcanoes. And what is the best way to explore these islands? The tracks that meander, marveling at its mysteries, from the cliffs of breathtaking and that cut the coastline, facing the sea, the coves that huddle the sea, the water drops that refresh the soul and purifying the spirit. These trails were developed safely and smoothly for those wishing to further explore the secrets of the Azores, they belong to a Routes Network Pedestrians Ranked by the Regional Government. Over the centuries, the easiest way to travel between locations, the same island, it would be by the sea, as the land routes were very scarce and there were not made possible the passage of carriages or ox carts, these paths was used the island’s people in their daily toil, they were accompanied by horses, donkeys or mules, or were even used by livestock for their pastures. Gradually, the paths were used for populations were to neighboring parties to the exchange and sale of agricultural products, fish, coal and other commodities, however, everything had a larger had to go by sea. 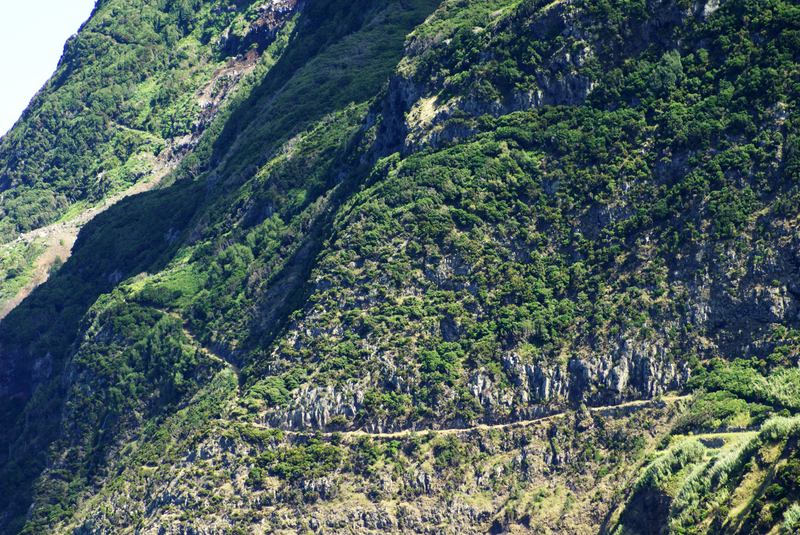 Currently, the network of paths and trails have been rehabilitated and are available to everyone who wants to go Azorean landscapes, each rail has a specific and unique beauty in its surroundings.